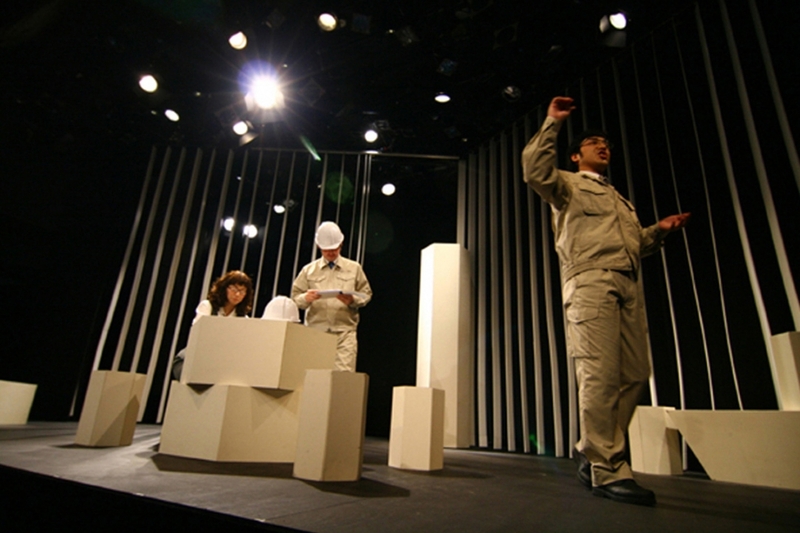 This story was played as pre-event in Akasaka RED/THEATER on 20th-28th January, 2007. The companions who made independent production from the movie circle in the school days ten years ago meet and take the independent production movie again. The movie is taken by the documentary touch on the same way of ten years ago. The love, family love, and happening are developed on that. The story develops while going in past, present, and a lot of scenes in two hours at the stage. The stage art produces a lot of scenes according to the composition of a hex-head pillar (each length and size are different). The central position on the play has been changed depending on the composition of the pillar and the vertical-blind. 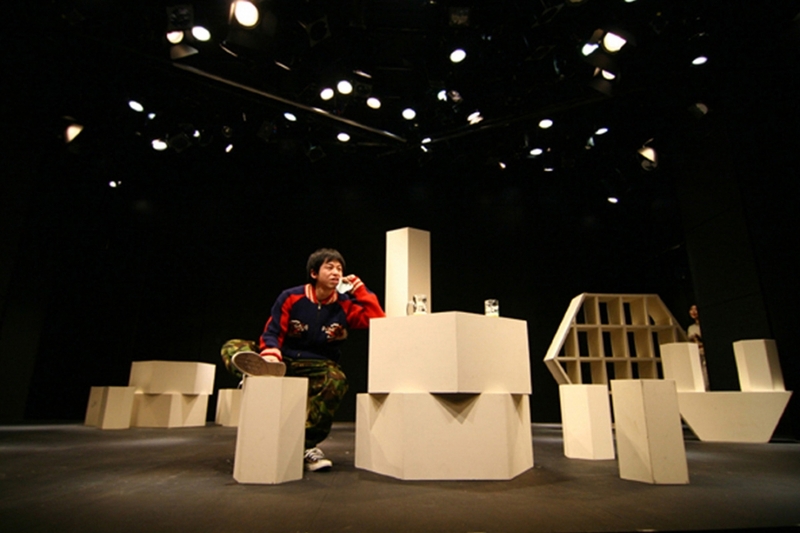 It was an experiment that how the performer could give the scene consideration to spectator’s imagination by abstracting the stage art.